Simple and easy recipe I have created for tonight’s dinner. 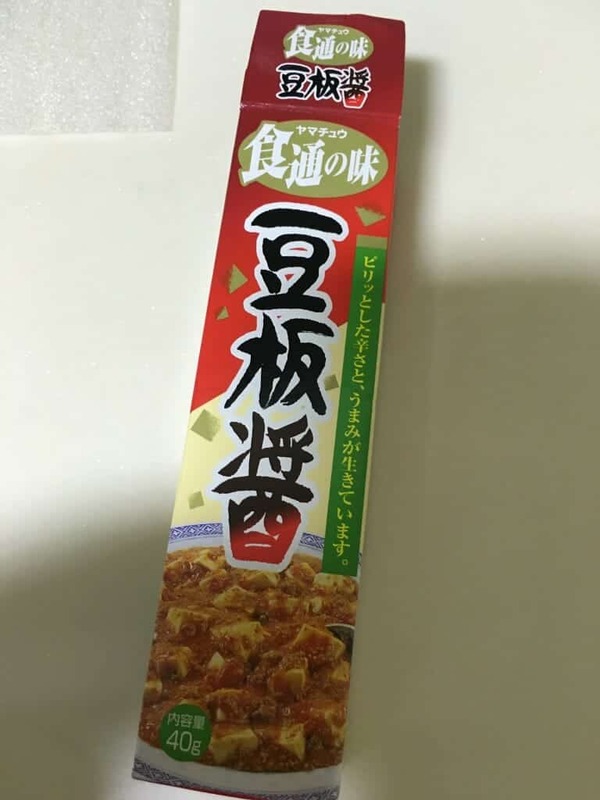 It was subtly tasted with just a hinge of spiciness from the bean paste. So, if you are a fan of super spicy dish, add chili oil to it. (1) Heat wok with oil and butter on medium fire. Brown garlic. Add pre-boiled sweet corn kernel and sauté till fragrant. Add minced meat and stir fry to cook. 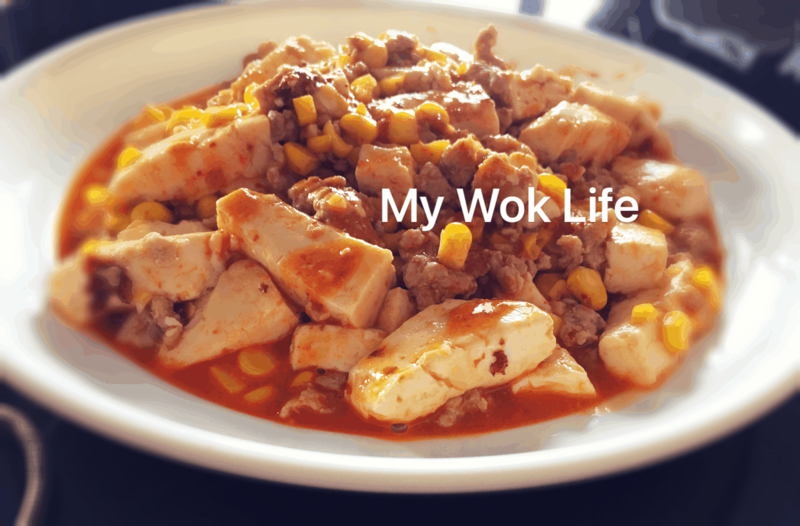 (2) Mix spicy bean paste and sesame sauce in fresh milk and drizzle in circular from the edges of wok. Stir fry a little. Add tofu and sprinkle salt, gently stir fry to combine. Drizzle corn starch slurry to thicken the sauce. Serve with steamed rice. 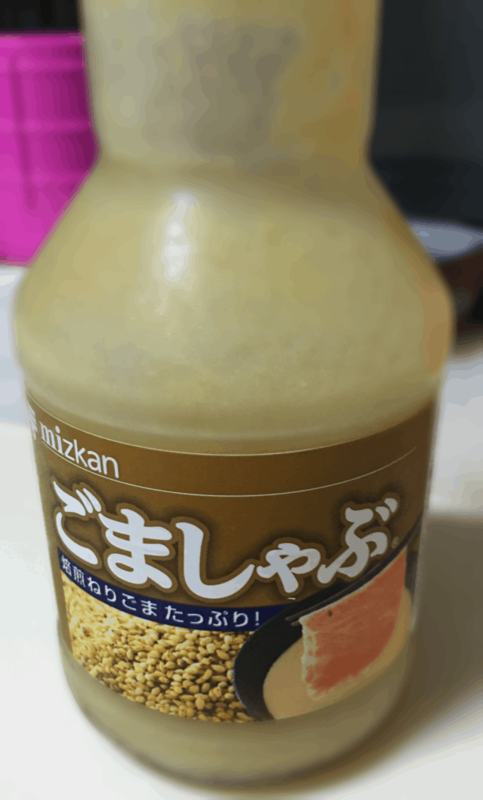 This is relatively a 1-dish meal consists of vegetables, meat and soy. 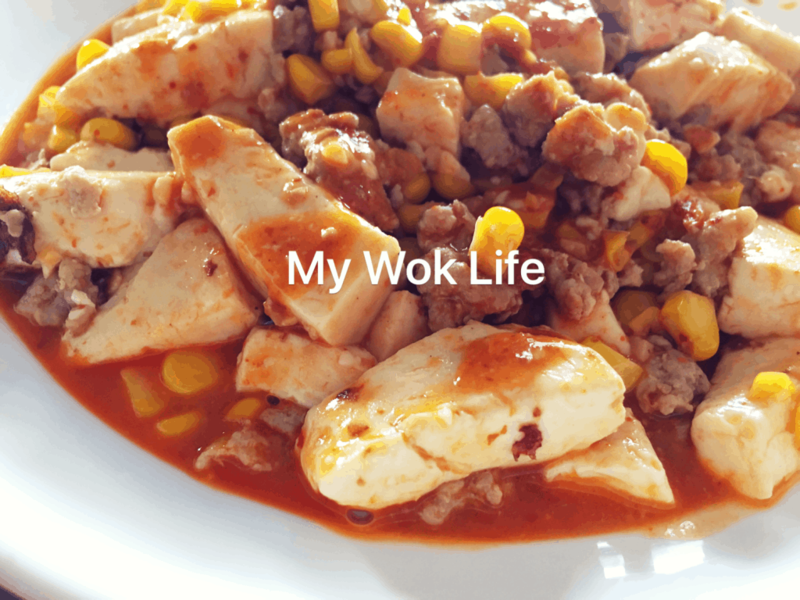 A serving of my mapo tofu counts about 200kcal. Tips: Japanese sesame sauce is a kind dipping sauce, in fact. It’s available off the shelves in major supermarkets. It costs about $5-7 per large bottle. * Japanese spicy soy bean paste is available at Daiso stores.